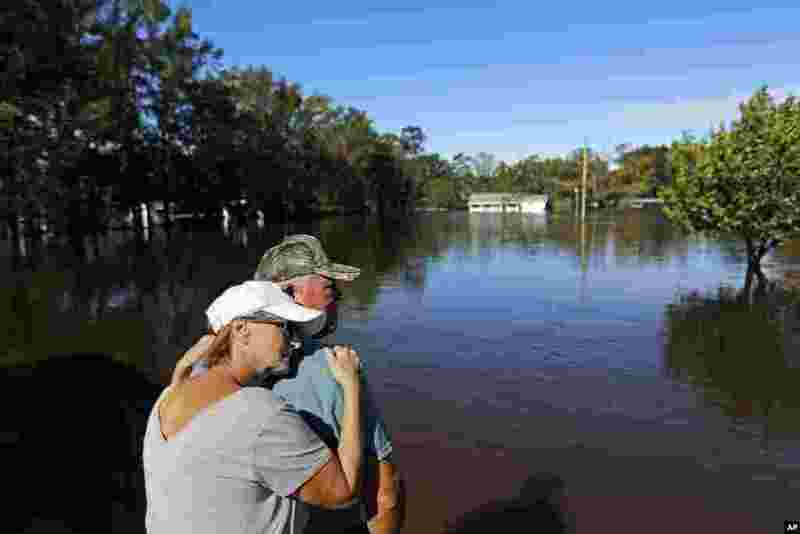 1 Dianna Wood, embraces her husband Lynn, as they look out over their flooded property as the Little River continues to rise in the aftermath of Hurricane Florence in Linden, North Carolina. 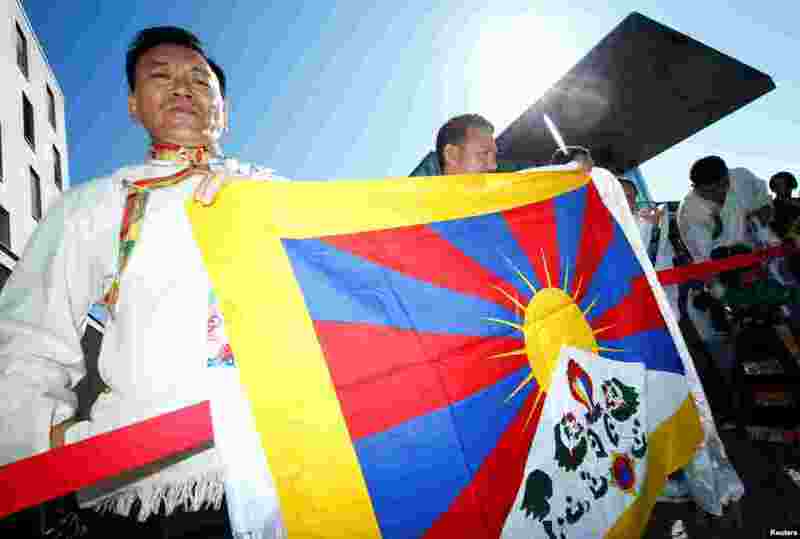 2 People await the arrival of Tibetan spiritual leader the Dalai Lama in Darmstadt, Germany. 3 Flamenco dancer Rocio Molina performs during a rehearsal of her work "Grito Pelao" as part of the Bienal of Flamenco in Seville, Spain. 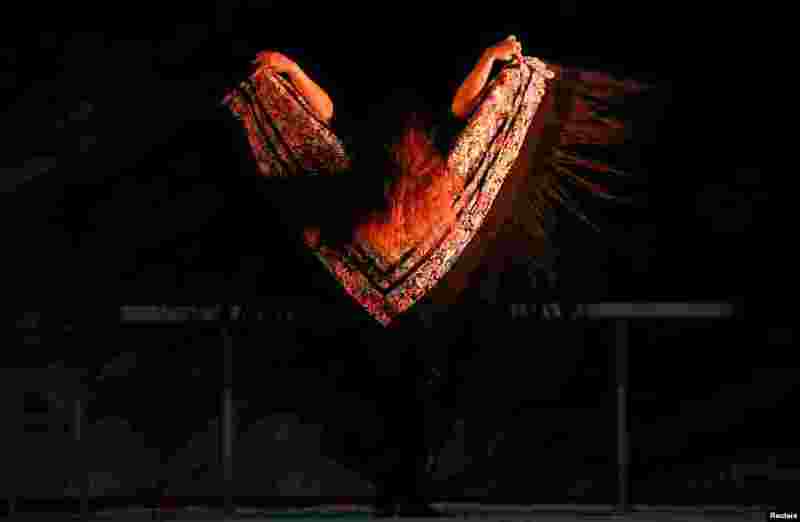 The Bienal is the world's largest Flamenco festival and will run until September 30. 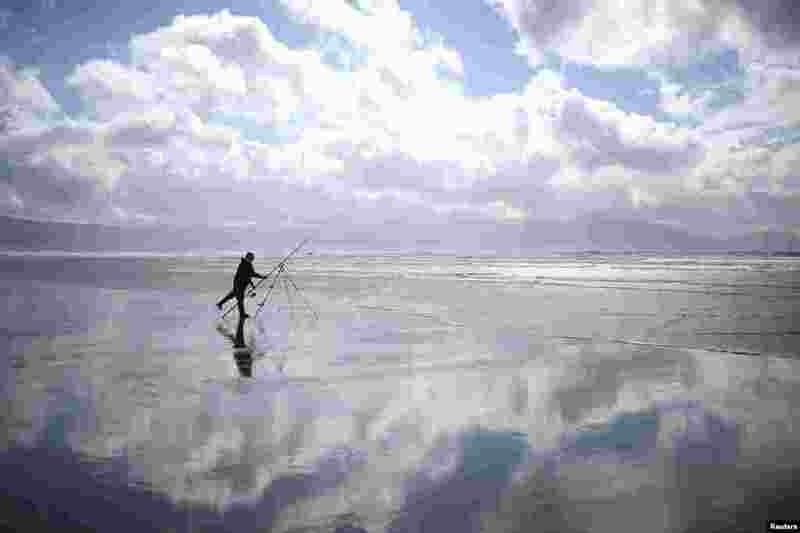 4 A man participates in the Diawa Irish Pairs sea angling event in windy conditions on the Dingle Peninsula of Inch beach in Inch, Ireland.